The International Foundation of Mediterranean Diet (IFMeD) rounds up subjects interested in enhancing Mediterranean Diet at 360°, tangible and recognizable scientific vehicle of added value for the whole community: institutions, universities and research centers, industries and consumers. International Foundation of Mediterranean Diet shared a post. 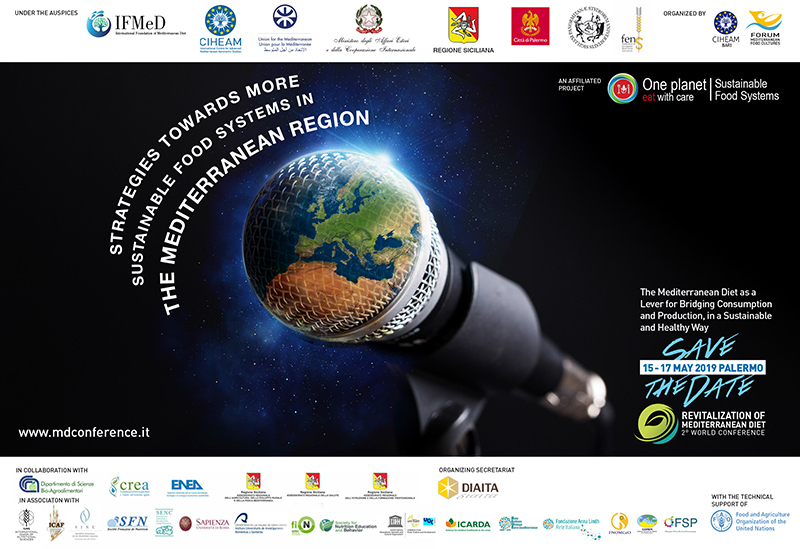 2nd World Conference "STRATEGIES TOWARDS MORE SUSTAINABLE FOOD SYSTEMS IN THE MEDITERRANEAN REGION"
The 2nd World Conference “Strategies towards more sustainable #Food Systems in the #Mediterranean Region: Mediterranean Diet as a Lever for Bridging Consumption and Production, in a Sustainable and Healthy Way”, will take place in Palermo (Italy) from the 15 to 17 May 2019. 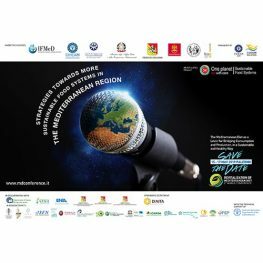 Affiliated project of the UN initiative “ONE PLANET, Eat with care”, this world conference will be hosted under the auspice of the CIHEAM, the International Foundation of Mediterranean Diet (IFMeD), the Union for the Mediterranean (UfM) , the Italian Ministry of Foreign Affairs and the International Cooperation, the Sicilian Region, the City of Palermo, and the European Federation of Nutrition Societies and organised by the CIHEAM Bari and the Forum of the Mediterranean Food Cultures in collaboration with more than 20 partners. Its Organizing Secretariat is DIAITA and the UN-FAO will provide technical support.